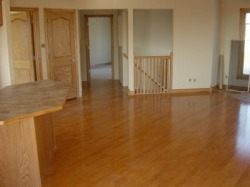 We were pleased to work with Sakiyama Brothers Contractors and the owner of this Sherwood Estates home. 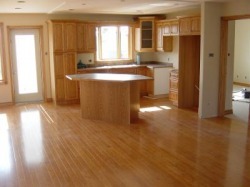 The owner chose Columbia Hardwood in Pecan/Honey for the main area of the house. Pecan has subtle grain and the Honey tones create a warm atmosphere. All in all, an incredibly beautiful look, in a home to be proud of. Wood! Nothing compares to it's natural beauty. A classic decorating choice for a look that never goes out of style. 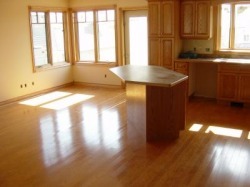 The homeowner can just move in and enjoy the easy care of this beautiful and functional floor. Hardwood floors lend themselves to many a decorating style and color palette.